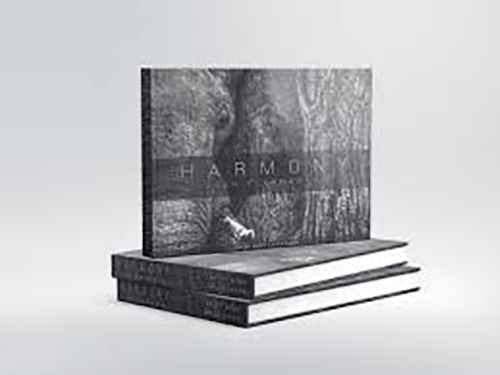 Photography, music and wildlife experts have joined together their talents to create a breathtaking combination of eye-catching images, evocative music and knowledgeable insight in the form of a unique book entitled Harmony for Elephants. Harmony for Elephants is a newly-released book with an accompanying album of specially written music. This music, donated to the project by musicians, including ex-Genesis band members Steve Hackett and Anthony Phillips, has been created to share the message about conservation charity Elephants for Africa and the work they do with elephants in Botswana. Combining photography, music and words, the exclusive production aims to showcase how these elephants can live in harmony with humans. Harmony for Elephants is a joint project between professional wildlife photographer and biologist Mrs Lesley Wood and Dr Kate Evans, biologist, elephant researcher and founder and director of the charity Elephants for Africa. The project also receives forewords and notes from England cricketer Mark Ramprakash and the charity’s patron Nick Knowles. Lesley and Kate first talked about publishing a book about elephants together back in 2010 and since then the concept has grown and developed into the amazing book and music project that it is today. A Kickstarter project helped to raise the funds that were needed to publish both versions of the book and produce the accompanying music album. To complete the project, 164 backers pledged £23,816 to help bring this project to life. The resulting book is a stunning combination of Lesley’s beautiful fine art elephant photography and Kate’s compelling writing, giving her expert insight into elephant biology and behaviour. It will take the reader on a journey through the lifecycle of the African elephant, babies, juveniles, adolescents, adulthood and old age, and the challenges faced by them.